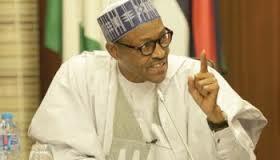 The Presidency has declared that President Muhammadu Buhari has no certificate scandal. Reacting to a media report titled "Prominent Nigerians with certificate scandals, senior special assistant to the President on Media and Publicity, Garba Shehu, said Buhari did not fit into the categorization of leaders with certificate scandals because "he bears none that is on available records." He, however, admitted that during the contest for the 2015 presidential election, among other "wild, untrue and malicious allegations" the issue of certificates was raised against Buhari to stop him from contesting the election. Shehu stated: "The issue of certificates was raised against him but the campaign successfully dealt with the allegations by providing evidence that not only was he qualified to run, he had a far higher academic qualification than is required by the constitution. As a result, he went on to run for the office and eventually win. "Since the purpose of the challenge was primarily to stop him from being a candidate in that election, the challengers either voluntarily withdrew or abandoned the cases soon after he won and all of them were subsequently struck off by the courts.